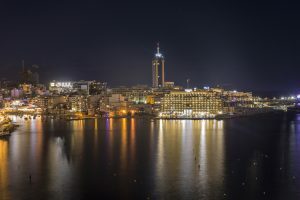 To the northeast of Malta resides Sliema. It is beside the town of St. Julians. 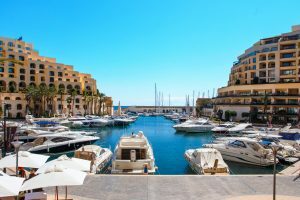 The town used to be where Malta’s upper-class and aristocracy resided. 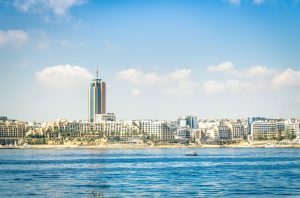 Yet, today the area is most popular for its shopping centers, bars, restaurants, and hotels. The town got its name from a chapel, which was built in dedication to Stella Maris in 1855. The chapel was a valuable landmark to the area’s fishermen. 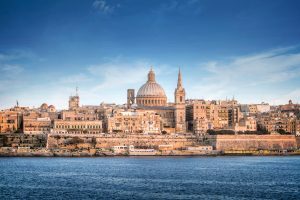 More specifically, the name is derived from the opening words of the Hail Mary, “Sliem Ghalik Marija” in Maltese. 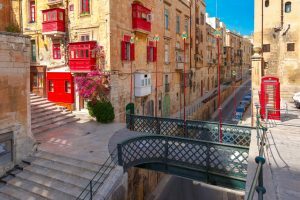 The definition of Sliem in Maltese is “Peace,” or “Serenity”. The town is rather large for a residential area, and its population is approximately 15,000. Many expatriates also populate the town temporarily. 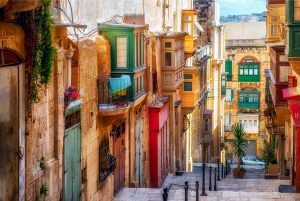 Once a quiet village of fishermen, it was also used as a summer resort by the wealthier residents of Valletta. In the 19th century, the town developed rapidly into a residential town. Many extravagant villas and elegant town houses were built in the town. The British also built many Victorian buildings by the coastline. The citizens began to catch on to their town’s value as a tourist location. They began to develop the town further, and initiated a “building boom”. This development changed the entire landscape. 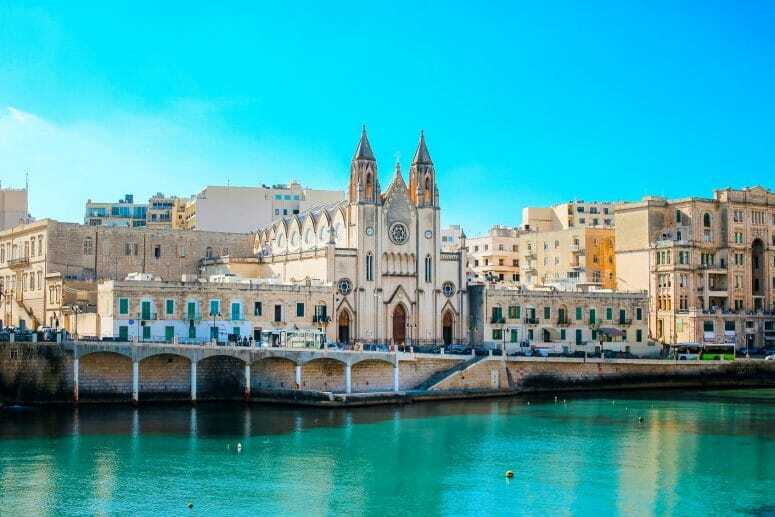 The town was Malta’s first tourist resort and is still important to this day. Nowadays there are few art nouveau or Victorian homes. The rest of the residences have been replaced with apartments, hotels, and establishments. 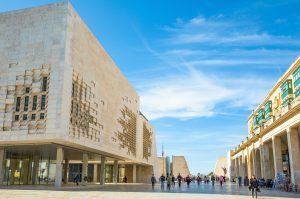 The promontory gives a beautiful view of Valletta and the surrounding area. On the opposite side of the promontory one can take in the gorgeous sight of the sea. The town’s kilometers long promenade is an ideal spot for long walks and runs. Along the promenade are many benches to relax and socialize on. 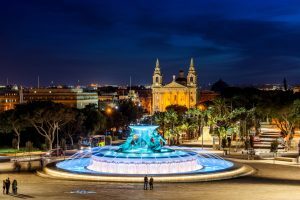 On the coastline of Sliema is the Independence Garden, also containing a children’s playground. Two fortifications are along the coast as well: a De Redin tower (built in the 17th century for the island’s protection), and a neo-gothic tower built by the british in the 1880s. Shopping: There are many shopping centers in town. Wine & Dine: Many bars and restaurants are in town with a great variety of food and drink. 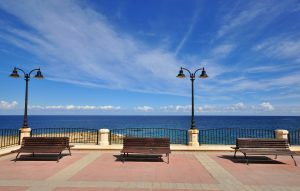 A Walk Along the Promenade: On the right, the town’s promenade goes all the way to Gzira, Ta’Xbiex, and Msida Marina. On the left, if goes toward St. Julians, Paceville, and St. George’s Bay.